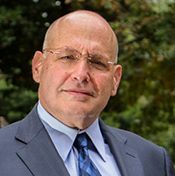 Instructor: Legal 101 Washington D.C.
Paul Zukerberg is an attorney with 30+ years experience in marijuana law and advocacy. He led the fight to successfully decriminalize marijuana in the District of Columbia in 2013, and was instrumental in assuring the passage is Initiative 71, legalizing personal use qualities of marijuana. He has strong ties in the District and Maryland medical cannabis industries. Paul is a lifetime member of the NORML National Legal Committee, and has taught Federal procedure at the Catholic University of America. Paul has defended dozens of clients charged marijuana offenses, and has advised businesses and individuals in the legal cannabis industry. He is a member of the National Association Criminal Defense Attorneys and the American Association for Justice. He practices in the District of Columbia, Maryland and Virginia, in both state and federal courts.